Even the happiest relationships go through troubled periods. Life is so full of change and uncertainties and these can certainly put relationships to the test. 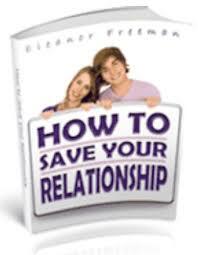 This guide aims to help people who are facing difficulties within their relationship and need help with how to get things back on track. You may be considering if you even want to stay in the relationship at all. This booklet will help you consider your options and think everything through before walking away. Some of the ideas and techniques may even help you with other relationships in your life that you may have difficulties with – perhaps with a friend, parent, sibling or other relative.